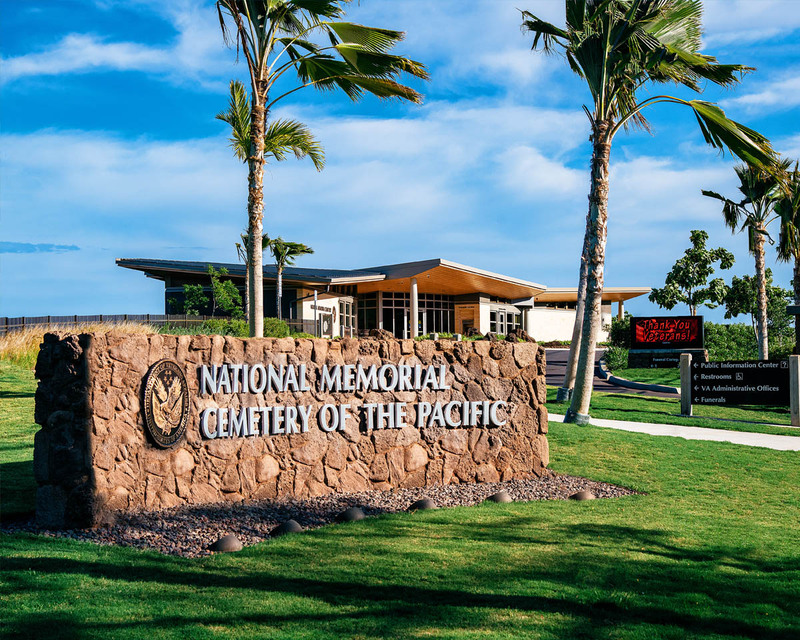 National Memorial Cemetery of the Pacific | | Nan, Inc. This design-bid build project is currently under construction which comprise of various improvements inside and outside the cemetery. 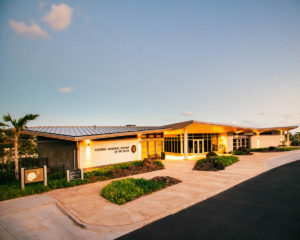 These include the construction of the new Administration and Public Information Center (PIC) outside of the cemetery gate. One of the major undertakings of the project include the preparation of the steep hilly site that require the construction of keystone retaining walls in order for the drilled piers foundation to be set in place. In addition, approximately 16,500 cubic yards of undocumented fill were over-excavated and replaced 22,700 cubic yards of fill to bring the site to proper grade. 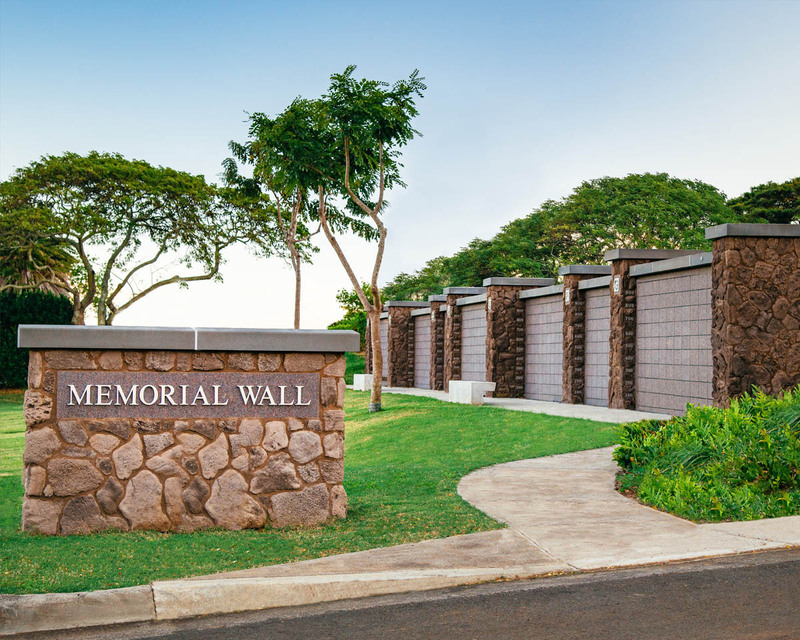 Inside the cemetery, improvements include the construction of the Memorial Wall and the replacement of columbarium caps at Courts 1 – 5. 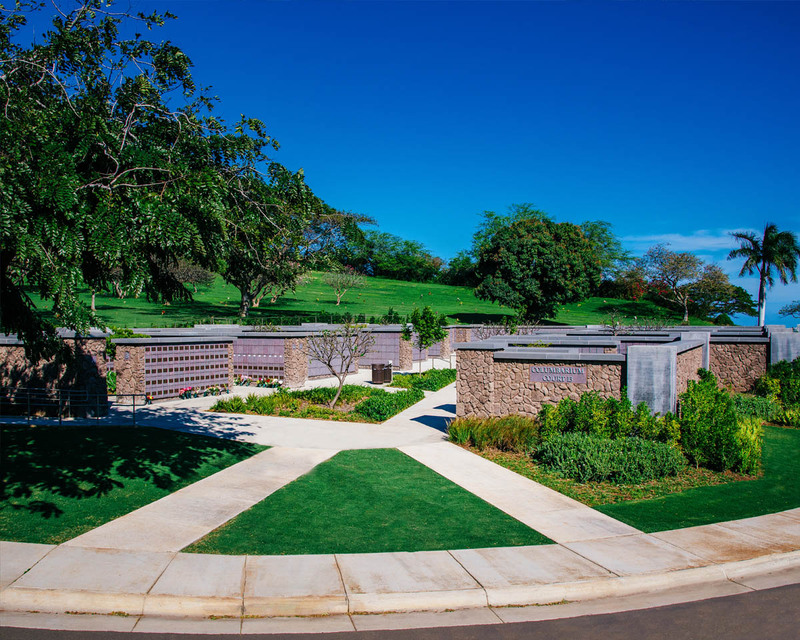 Other improvements inside the cemetery involve the demolition of the existing Administration and PIC building to make way for the construction of Columbarium Court 13 which includes 6,860 columbarium niches. The rest of cemetery improvements include repairs of existing roadways, replacement of existing signage and site furnishings, landscaping, irrigation, and site utilities. The project is striving to attain a LEED Silver rating by the US Green Building Council.